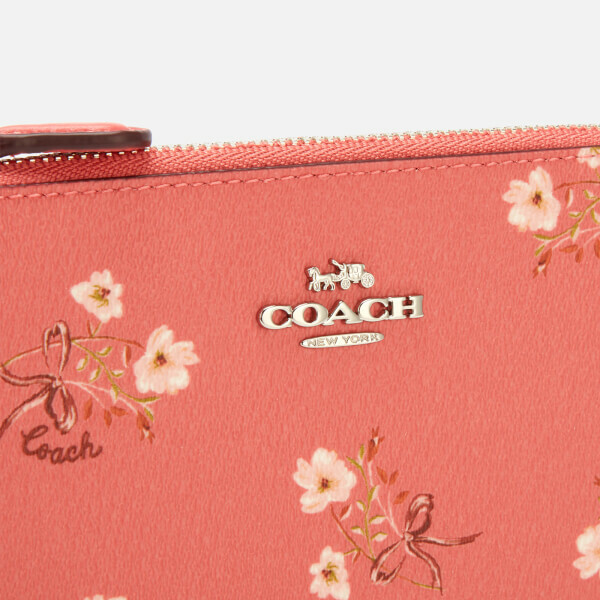 The floral bow wristlet by Coach features a nostalgic floral bow print on a base of coral pebbled leather with a metal brand emblem. 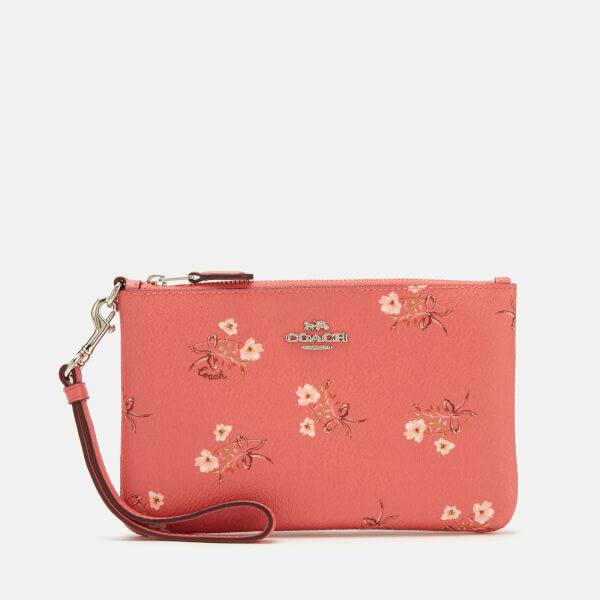 The small bag can be worn on the wrist, as a clutch or used as a compartment inside a larger coach bag with its detachable wrist strap. 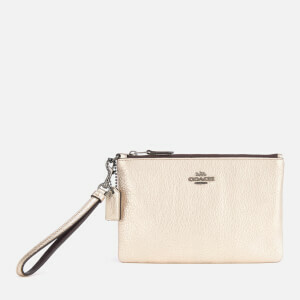 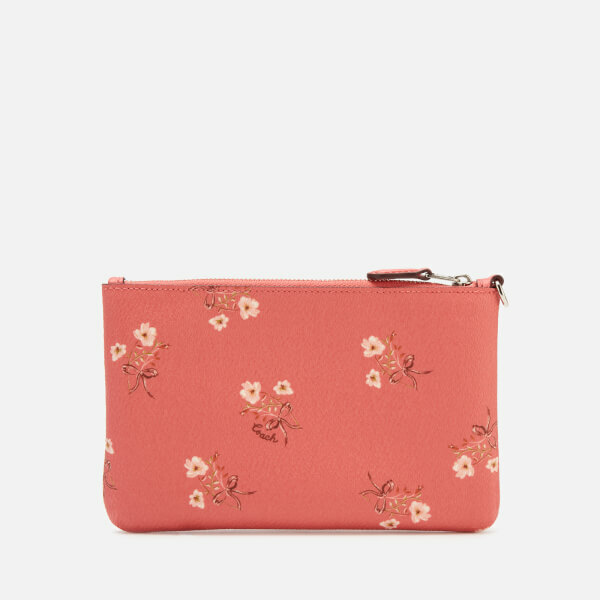 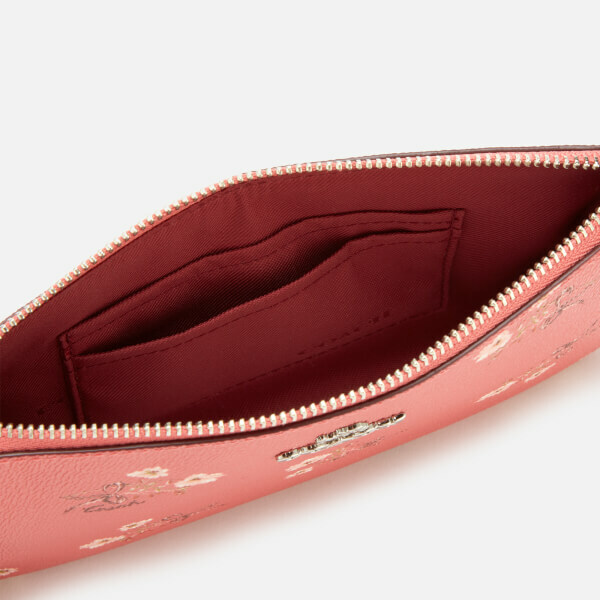 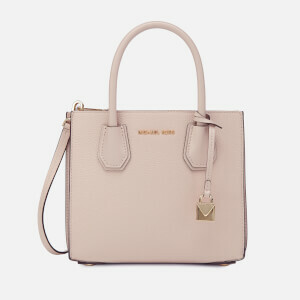 The fully lined wristlet comes complete with two credit card slots and a zip closure.